Showing results for tags 'psobb'. Hey everyone, I'm not a player on this server (yet? ), but seeing as how the PSOBB community has fragmented a bit I should probably share this with y'all too. I investigated the bursting screen crash on the 1.25.10+ clients that has plagued the game for years and prevented Linux and Mac support. It turns out, there were minor "optimizations" written into the texture loading routine in 1.25 that take advantage of an undocumented "feature" in d3d. League of Legends happens to use this "feature" as well. The "optimization" to texture loading are marginal at best and, naturally, break Wine because Wine is not designed to implement that undocumented feature. 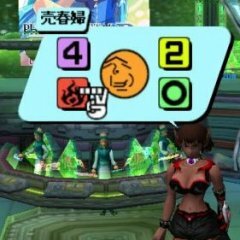 This patch implements a hack that simulates the expected behavior, and while it should work for any game that uses it, this has been specifically designed for PSOBB. Here is the source patch for Wine, plus some brief instructions on how to use it and what exactly it does. Link Mirror https://mega.nz/#!UYcjzKID!875sctIZDtmaZgbTwZT2mdfoV7r7stWkVlaNX_3StWM The game running on Mac El Capitan (not on this server): https://pbs.twimg.com/media/CUjnVSEUAAAmo4M.png:large IME support does not work as far as I can tell (the game detects it, but only types latin input). Controllers work, and the music at the title screen does not get garbled like on Windows 7/8/10. The game, for the most part, works as it did when it came out 11 years ago. Compiling for 64-bit Linux requires gcc-multilib or a virtual machine running 32-bit Linux. This is fairly trivial, just write a Vagrant VM script, I may write a tutorial up sooner or later. So, before I get started on my tangent behind my insurmountable love for the weapon known as Snow Queen, we'll dive into what these two items actually are. First of all, the Frozen Shooter is a rifle class gun for the rangers. It requires (162) ATA to use and has a max grind of 9, adding 18 more power to the weapon. Snow Queen is the next level to this weapon. If you apply a a Photon Booster to a max grinded Frozen Shooter you get the weapon Snow Queen. It changes the appearance of the weapon from a turquoise green and navy blue to a tan-ish and white color. Snow Queen may not combo, but it pierces targets and still has the freeze special. Now that that's out of the way, lets talk about the uses behind Frozen Shooter. At first glance, the Frozen Shooter may seem like a powerful weapon. It's special is that of the Blizzard special that you might find on some other common weapons. Weapon's with the "Blizzard" elemental special on it (an example such as this is something like a "Blizzard Raygun") may use the special attack to freeze a target in place. The difference about this from other Blizzard specials is that the Frozen Shooter's Blizzard special has a significantly higher chance to hit based on your ATA. In most scenarios, the Blizzard special attack will hit the target. There are few scenarios where it doesn't. However the rest of Frozen Shooter makes it a sub par gun. The main, and I'm willing to wager only usage for this weapon, is the high Blizzard chance on the weapon. So if the weapon's primary function is to use the Blizzard special attack on it, you can combo the three attacks into a permanent freeze on any one target. Here is why Snow Queen is better! Although the Snow Queen cannot combo, it has a wide variety of things to make up for it. For one the Snow Queen has increased attack power (ATP), increased attack accuracy (ATA), and has the ability to pierce through targets. Whereas the Frozen Shooter can only hit one target per bullet at a time, the Snow Queen is changed to where one bullet can hit a maximum of 3 targets anywhere from 1-2 times. Additionally, the increased ATA the weapon gives increases the chances of your Blizzard special attacks to hit and freeze enemies. If the primary function of the Frozen Shooter is to provide small doses of crowd control through freeze locking specific, high priority targets in place, then why shouldn't you evolve it into Snow Queen? It performs the same functionality as the Frozen Shooter except better. Instead of freezing one target you now can freeze 3 targets at once; providing a larger range of temporary crowd control. Additionally, hit on this weapon increases the chances even further, not to mention the passive effects of certain classes being able to get spell/effect bonuses on weapons and spells. The Snow Queen is the best option for you. It's worth the 50 PDs you spend on the Photon Booster. So lets have a recap here on what the capabilities are on each weapon: Frozen Shooter: Can combo 3 times Can freeze one target per special usage (pending the ATA and EVP math goes in your favor) Provides that much needed single target crowd control Hit and passive character effects can increase the chance of each stun Snow Queen: Cannot combo 3 times, only shoots one bullet Can pierce through targets, hitting a total of 3 enemies a total of 1-2 times Performs the same freeze functionality as the Frozen Shooter except to a greater effect due to the higher ATA value on the weapon Hit and passive character effects can increase the chance of each stun Provides an invaluable amount of crowd control among a number of both high priority and non high priority targets In my eyes, the Snow Queen is the better choice for rangers. If you have 50 PDs, please, I implore you, buy a Photon Booster and upgrade your Frozen Shooter to a Snow Queen, you will not be disappointed. + Well heres the Oficial google+ account for Ultima PSOBB thouse who dont have google+ account we will need and invitation and here we are giving out invitations xD. just click this link to get one. https://plus.google....ADw:Bx1qlu2bu7M and add us to your circles that it. also in the tab Social net you can find the rest of our oficial social networks. - Español: bueno aqui les dejamos el sitio Oficial google+ de Ultima PSOBB para aquellos que no tiene cuenta con Google+ van a necesitar una, invitacion, pero aqui mismo nosotro les damos la invitacion solo den click en el link y sigan las intrucciones. https://plus.google....ADw:Bx1qlu2bu7M agreganos a tu circulo y listo. tambien pueden encontrar el resto de nuestras Redes sociales oficiales de ultima en la pestaña de arriva del foro "Social Net"